Get your tickets today and save! For those that may not know, one of our first guests, Dr. Elliott “Ellie” Mannette, passed away on August 29, 2018. We will be dedicating GLSF19 in honor of Dr. Mannette and do our best to represent his spirit. Ellie is considered the father of modern-day steelpan and was constantly working on ways to improve the instrument. He also loved classical music because he felt it allowed the steelpan to truly show it’s beauty. With this in mind, we are excited to be putting together a classical oriented concert to showcase that beauty. Come out and hear some amazing classical, and non-classical, works on pan. Enjoy the amazing gift that Ellie gave to the world. This is going to be a truly special night and we can’t wait to see you there. 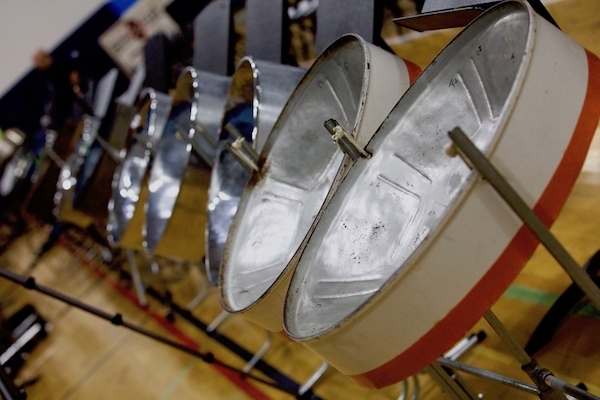 This is the biggest educational steelpan event in the midwest. You do not want to miss out on this! Make sure to check out our website and facebook page for more information. The family-friendly evening concert starts at 7:00 pm. Tickets at the door are $15 for the concert, or purchase them now, online, for $10 here! Free admittance for children 6 and under.